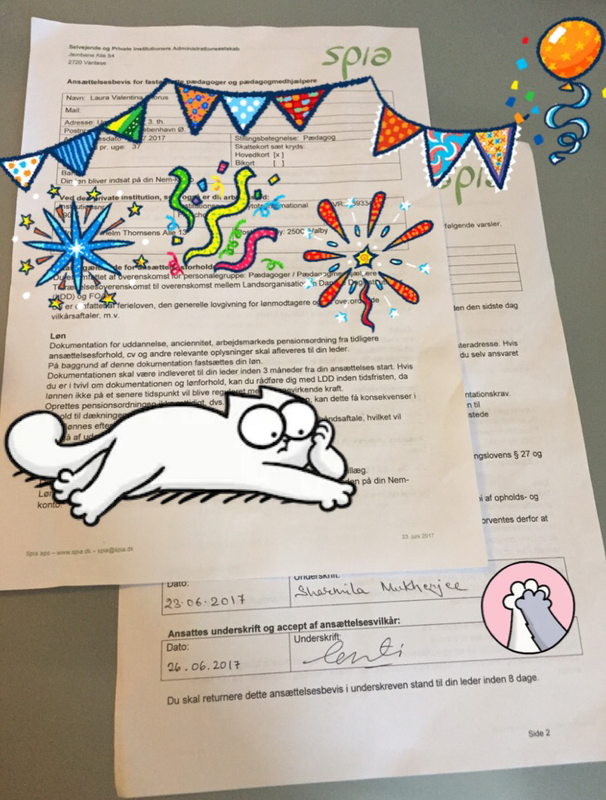 I just stepped a quite important stone of my life: getting a permanent, full time teaching position in Denmark. It’s an open contract, so now I am applying for a new work visa, crossing fingers for a smooth visa process. This translated to some more years working and living in Denmark, which was for me a fantastic news. I am thankful for God who is always entrusted me with work, even though I doubt myself all the time. I am blessed with people who are patience with my craziness (read: destructive, negative, selfcentered, ungrateful, hopeless and lifeless attitudes). And I am hopeful that one day life will smile back at me.